The board of Sharp has reportedly agreed to be acquired by contract manufacturer Foxconn for $6.2 billion. The latter is the company that takes components from around the world, and assembles them into the product you know as the Apple iPhone. The company also manufacturers many other products for a list made up of some of the biggest names in consumer electronics. 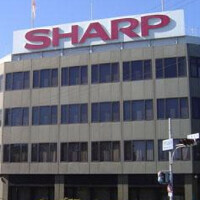 Rumors that Foxconn would make a play for Sharp started last month with speculation about a $5.3 billion transaction. Sharp also was supposedly being looked at by government-run fund Innovation Network Corp. of Japan. The fund was thought to have put together a $2.5 billion bid for Sharp that would have added a $2.67 billion cash infusion, and a $1.78 billion line of credit. As one of Apple's main suppliers of iPhone displays, Sharp's purchase by Foxconn would give the manufacturer easy access to one of the parts it needs to have in stock while manufacturing the Apple iPhone. We expect that full details about the acquisition, including an estimated closing date, will be announced in the days ahead. Candy Crush is bought for 5.9 billion Sharp is bought for 6.2 billion There is something very very wrong about this. Candy Crush is a massive cash cow, mostly due to advertising. Of course. My point still stands. Just a sad day in tech when those two are worth the same. Read this!http://fortune.com/2015/11/03/activision-blizzard-king-digital/ Not just Candy Crush, Activision buy up Candy Crush maker King Digital. They want the mobile talent pool to make games for Activation own IPs. No. The value of hardware is software. This is why Microsoft/Bill gates got over on IBM. When Gates told IBM, we wanted to retain ownership of our software and licensed it to you and be able to sell it to other outfits, IBM thought all the money is in hardware which is false. if I buy the computer I want, it will last at least 5 years before I need another, especially a desktop where I can swap out older parts for newer ones without buyign a new computer. So once you selel a computer, until you sell 5 years worth of hardware to create that upgrade cycle that comes every year, the money isn't in the hardware. The money is in the software because if one company makes lots of software, they stand to make far more money. After all, Microsoft made way more money with Windows than IBM made with hardware. In fact, it pushed IBM out of the PC business and Dell if basically gone too. Phones are cheaper, thus the cost to upgrade more often is cheaper. Especially since now you only need to pay for 50% the price before you upgrade again. Which means in one year I can buy 2 phones for the price of one. But many aren't goign to do that, so hardware will only get sold so many times while software can be sold forever, because its never really outdated. It's irrelevant whether King Games is relevant is 1 or 2 years. Activision has huge amounts of cash and profit, they needed to show their investors that they are willing to shake things up and spend the money to make a splash. And the stock prices agree. It is true for HTC when its market value is merely $1.5 billion. BlackBerry market cap is $4 billion. Nokia market cap after aquiring Alcatel-Lucent is $42 billion. What are you talking about?? sad news. Another japanese company is gone. Japan is going down the road. It is hard to believe how Japan is no longer the Asian choice in tech toys anymore. When you think of the big names of Japan that have died like Sega, Sony, Sharp and others, you can see how much has changed. But this is the USA fault. They let China buy up our debt and in return, we have to let them provide us with most of your electronics. Even Samsung and LG Korea is feeling the Chinese pinch. In 5 years, China will be providing the USA with 80% of its products. This will be specially true with Republicans in office. In less than 20 years, China will own the USA and will likely buy the USA out and make it part of the China Republic. China just have intelligent and wise government, not like Japan or Europe. USA has at least a lot of IT Software companies like Microsoft, IBM, Apple, Oracle, Google, Facebook and CPU producers like Intel, AMD and Qualcomm, it has also Lockhead Martin etc. Europe has almost nothing: only Nokia + few companies from Germany. JDI display for the next iPhone? Thier games have crappy cheap kids graphics. Sharp did not sell it's whole company. They sold only 65.9% of it. The owner of Foxconn is Taiwanese. Taiwan is china FYI.. "Republic of China" to be more precise..
..tell that to the Taiwanese, see how you go with that. Obviously Taiwanese or Hong Kong people will offended. They will say they are not the same as the 'low' Main Landers. More bad news. RIP Sharp. It was nice knowing you.